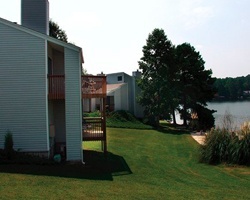 Lake Tara Townhouse III is a lakefront resort only 45 minutes away from Atlanta and offers a full range of family-friendly activities, including golfing, boating, swimming and lounging! Six Flags and John Tanner State Park within 20 miles from the resort, and Stone Mountain is an hour's drive away. Lake lovers' dream resort! Yearly usage in April week 16! Make an offer today!